It's easy to get to Australia, but it does take a while. Two hours from Tucson to Los Angeles, a six hour layover, 14 hours from Los Angeles to Sydney, a two hour layover, and then another hour and a half to Melbourne. We flew United Airlines. 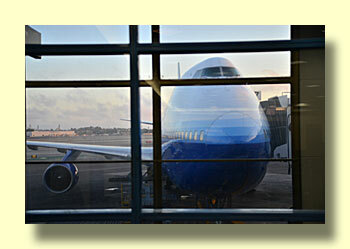 It was a 747-400, and totally full. United gets just as many seats in this airplane as possible, not a lot of legroom. Four movies en route. Actually, there was no picking up involved. The van company owner met us at the airport with the van. We drove to a nearby McDonalds, went through an introductory tour, and we were on our way. 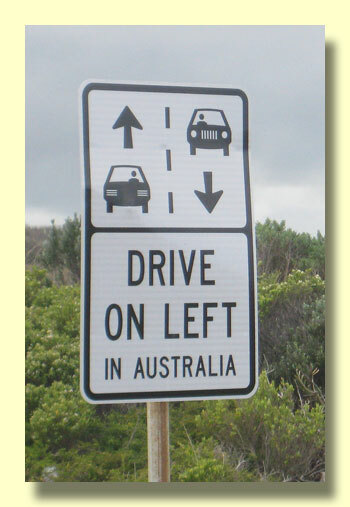 Australians drive on the left. We've done that in the UK, but always with a Continental rig with the steering wheel on the left. This rig is Australian so, of course, the wheel is on the right. For the driver all of the controls are in the same place - except the shifter and the turn signal stalk. The five-speed shifter is easy enough, but Mike may never get used to the turn signals. In the beginning every time he signaled a turn the windsheld wipers started flipping. After a week they're still do that several times a day. 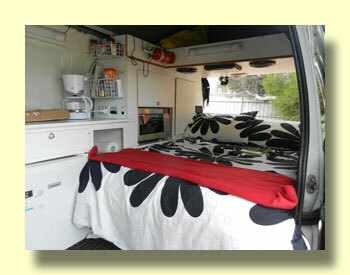 To give us a chance to get our feet on the ground we booked three nights in a local Melbourne RV park. It's the Ashley Gardens Big 4 Holiday Park. This turns out to be a fairly upscale park and is conveniently located for the shopping required to get ready for the five-month road trip. 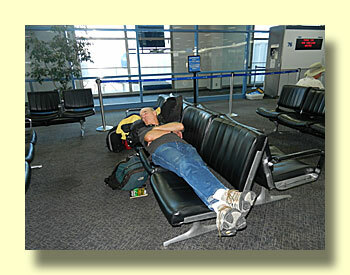 We had expected jet lag to be a problem after such a long trip. 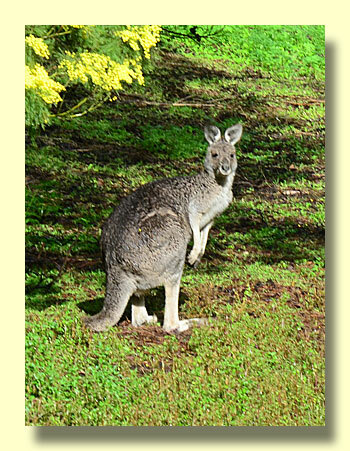 In the past it's always a bit debilitating when we fly to Europe, but flying even farther to Australia seemed much easier. We arrived in Melbourne about eleven am and spent the day familiarizing ourselves with the rig and shopping. There was a Safeway right next to the park. Cooked dinner and went to bed about nine pm and slept throught the night with no wakeups. The next day we were up at a decent hour and never felt jet-lagged at all. Our first day's activities included a visit to a nearby shopping mall and the purchase of an Internet access device. RVers in the park told us that Telstra provides the best coveage in Australia so we visited a Telstra store and bought a small receiver/router that provides digital cell access for both of our computers. It cost $99 Australian which included quite a bit of prepaid useage, and we can buy more online. More about this once we've had a chance to see how it works for us. Although the rig came pretty well equipped we know we'll be in it for a long time and that it's worth spending a little money on items we'll need so that we''ll be compfortable. They Have Aldis in Australia Too! Since this is an excercise we've gone through in Europe too we can't help comparing the experiences. We found the job to be much easier in Melbourne than in Amsterdam. 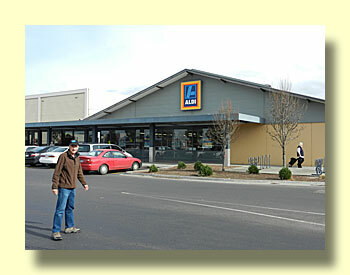 There are lots of stores, our visits included K-mart, Big W, Costco, Safeway, and Woolworths (groceries in Australia). Prices are higher than what we are accustomed to in the States, but loss-leader low price offerings are common so a little looking around yielded decent prices. 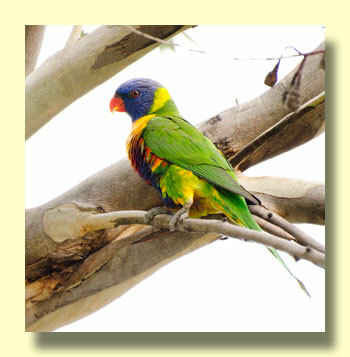 One of our hobbies is birding and Australia has great birds. From day one there were lots of new birds, and other wildlife too. We've posted more pictures here. 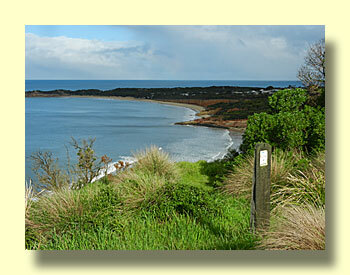 Just west of Melbourne is one fo the most famous of Australia's attractions, the Great Ocean Road. Since we may not get this far west once we return to southeast Australian in December we decided to follow the coastal route to Adelaide. 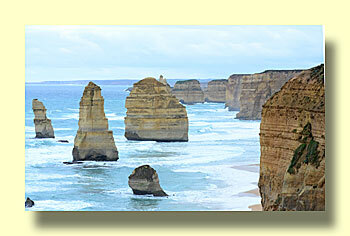 More about the Great Ocean Road. 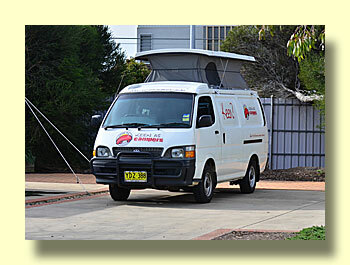 Total distance from Melbourne to Adelaide along the road is 620 miles (1,000 km.) 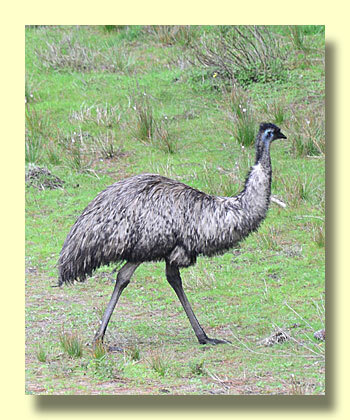 Along the way we spent nights in Apollo Bay, Warrnambool, Mount Gambier, and Murray Bridge. It's a very scenic route and the weather was excellent for this time of year with a combination of sun, clouds, and the ocassional shower. Despite this there were few other RVers along the way, everyone seems to be waiting for summer.